What is the package structure of your project? Most team have hard time explaining WHY their packages look the way they do. Even less can find any sense in their final layout. Do you know why package-scope is the default in Java? Do you know why most developers pretty much never use it? Do you have an architecture, with which you can easily test 90% of your system under a second, and not have to change your tests even after major refactoring? All Java devs understand class level encapsulation, some get microservices and modularity on a macro level (> few klocs). However not too many know how to design their code/architecture on a medium level. How to build easy to use building blocks or modules. And so, most projects drift into kind of spaghetti mess. 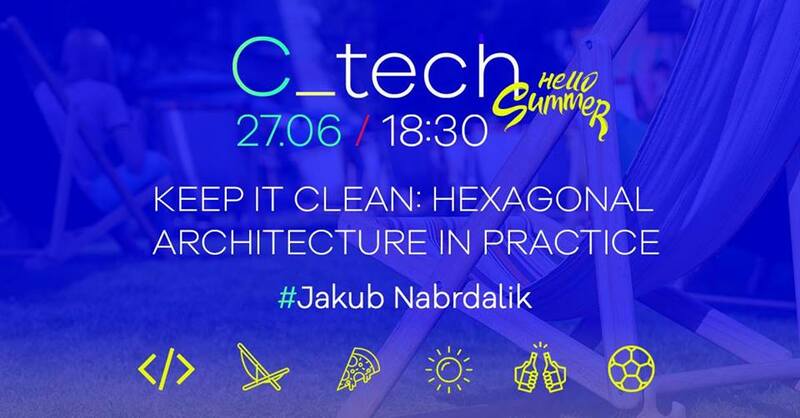 Let’s see how we can make our situation a little bit better, using Domain Driven Design, package-private scope, sensible packaging structure, CQRS on microservices, and finally: hexagonal architecture. Because it is actually easier, than not doing it. Real life project examples included. For the last 15 years I worked in software houses and large enterprises creating dedicated applications for external and internal customers in languages like Groovy, Java, Kotlin, C#, PHP, and using plethora of technologies. I did everything from analysis, programming, modeling, architecture, coaching to managing projects. That’s what you usually call a developer these days. Some of the systems, I’ve worked on, include Mobile Banking, Finance, Telco, eCommerce, Data Management Systems, Content Management Systems and Enterprise Resource Planning. I built an IT branch of a corporation in Poland, from the scratch, which I’ve grown to 50 people and managed for 2 years, hiring people, designing development and support processes, empowering self-organized teams, coordinating with development centers in other countries, driving big changes and setting up a proper hacker culture. My main interests are in Domain Driven Design and Test/Behaviour Driven Development, which I’ve practiced since 2005, gave a lot of talks on conferences and workshops, and wrote some articles. I love Software Craftsmanship, the serious, responsible, scientific and pragmatic approach to development. I gave more than 60 public talks and workshops on conferences, universities and user groups, both Polish and international, helped to organize a few from scratch, shape a few by being in program committees. I was one of the leaders of Warsaw Java User Group, Warsaw Groovy User Group, Warsaw Spring Labs. My focus is on software development. I’m very direct, down to earth kind of guy. Expect nothing but harsh truth.